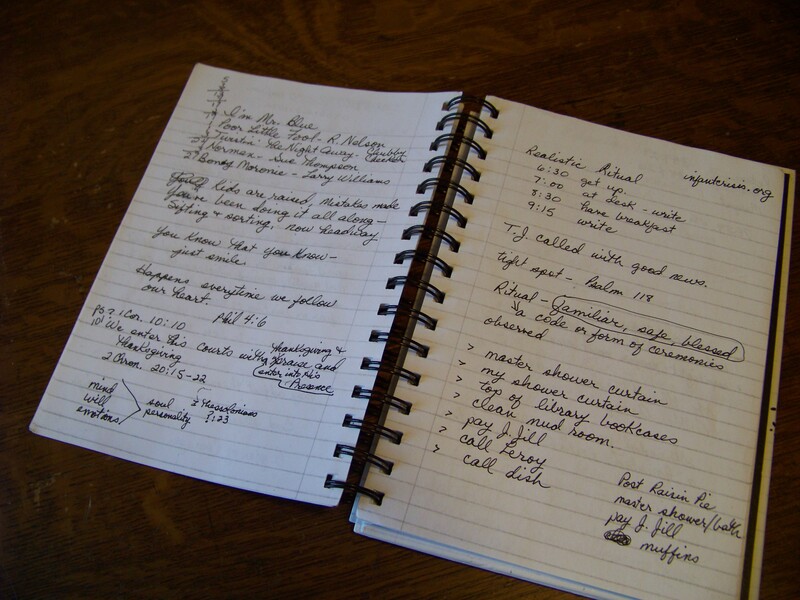 Years ago I formed the habit of carrying around a notebook in which to capture ideas for current writing projects, as well as pithy quotes, Bible verses, song titles, and even doctor appointments. 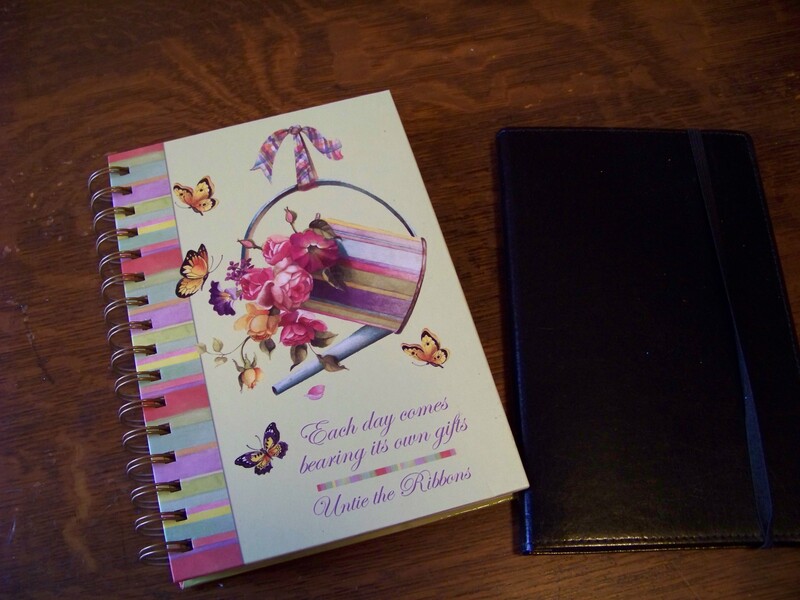 My life is on the lined pages of these notebooks. I like the hard cardboard-covered ones, with a wide spiral that provides a perfect place for keeping a pen. And it must in some fashion be inspiring to me. After all, I am living with this notebook for a year or more. It really does not cost much to water our own gardens, so to speak, to uplift and inspire ourselves. Frankly, very often we are the only ones around to encourage ourselves, and it is our duty to do so. 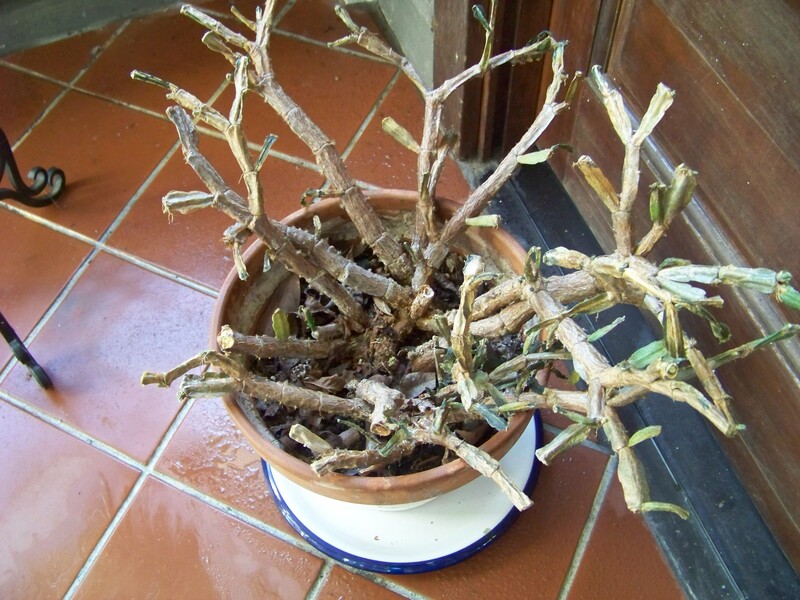 Back during our unusual cold spell, I forgot and left my Christmas cactus pots outside! Thankfully the original which was given to me thirty-two years ago by my husband’s granny–I call it ‘Big Mama’–was on the porch and survived. So did a smaller one that I had rooted and grown last year. Unfortunately, the largest one that I had had for some fifteen years, was in the yard, and, well, turned to mush. I have trimmed all the petals away, and now I have these stalks. I’m not giving up hope yet! 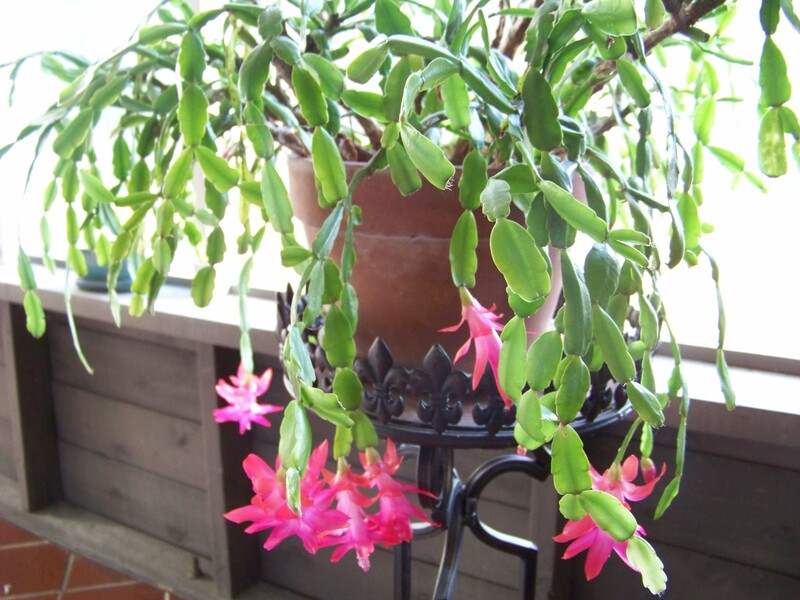 Heirloom Garden Experts has an informative post on growing the old Christmas Cactus. I never thought of growing it in a hanging pot! I’m going to give that a try. From reading the information about growing Christmas Cactus, I see that I’ve done just about everything wrong. Guess what? The original plant still lives, and is thriving. I have found that good things happen when I don’t give up too soon. Maybe things don’t turn out exactly how I wish, but something good always happens eventually. The healthy plant looks great and the sick one looks like it still has life in it. Thanks for the reminder to encourage myself, and not to give up. Like they say in the fellowship, don’t quit until the miracle happens. Loveya!!! The cactus on the porch looks great! I agree with you, don’t give up too soon, it may have life left in it yet.